In this Application Guide, we're addressing one more frequently asked question: How do I hang unframed art, pictures, or panels? We have a number of solutions, so let's get right to it. It is sometimes thought that unframed art cannot be used with hanging systems. This is not true. In most cases, flat art is very easily suspended from hanging systems. 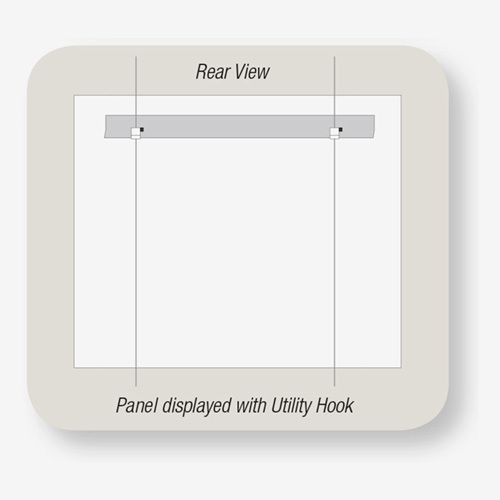 Panel Hooks are suitable for panels between 3/16 in. and 5/8 in. thick. 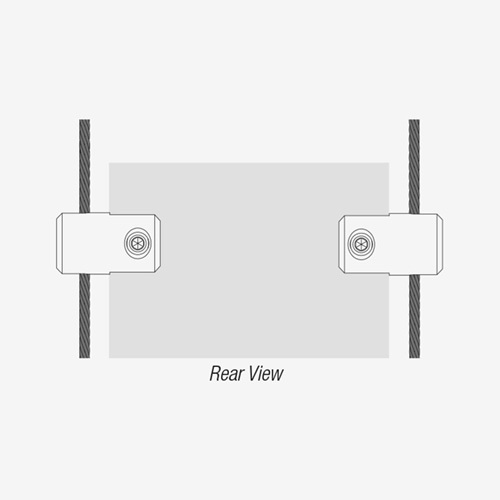 There is no need for through-holes in the panels, and cables are hidden behind the panel as well. This product line comes in five variations for design flexibility. 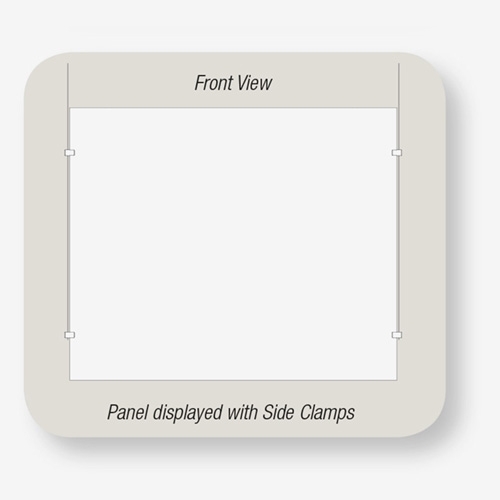 Side Clamps are suitable for panels up to 3/8 in. thick. These fittings come in three sizes. 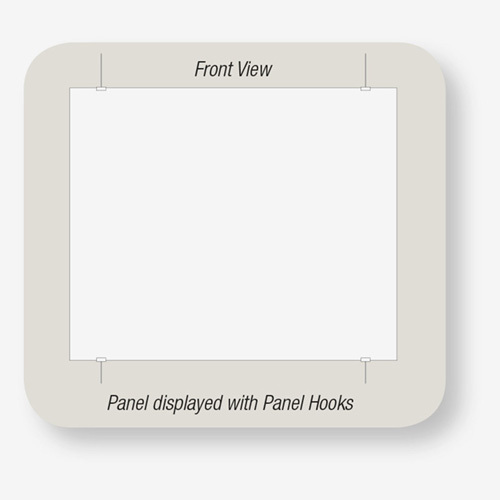 Panels may be mounted with through holes or via surface tension without holes. Visible cables compliment the overall engineered look of these finely machined parts. They come equipped with nylon tipped screws for delicate substrates. 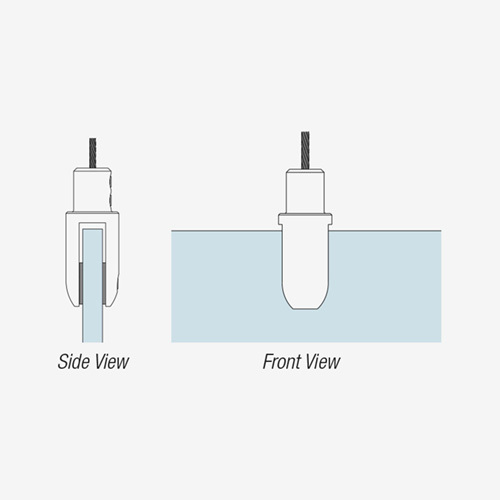 These fittings come in three sizes and are optimized for glass panels up to 3/8 in. 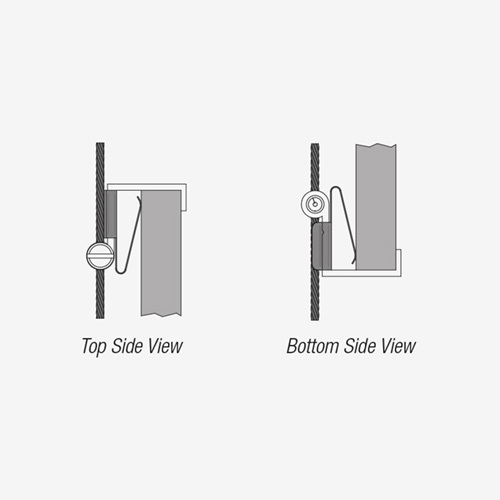 think and where the glass panels are prepared with through holes but will work with most any panel substrate up to 1/2 thick via through-hole mounting. 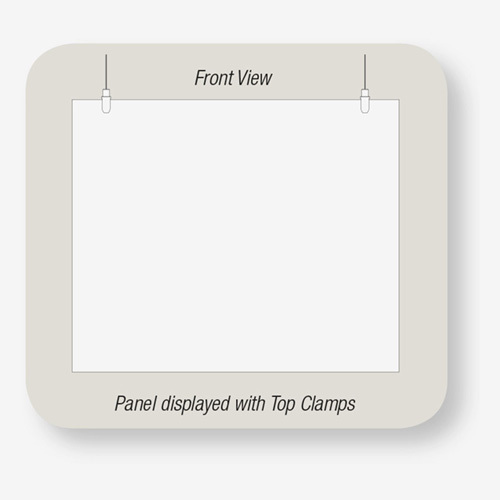 Cables used in conjunction with Top Clamps will terminate at the top of the displayed panel. 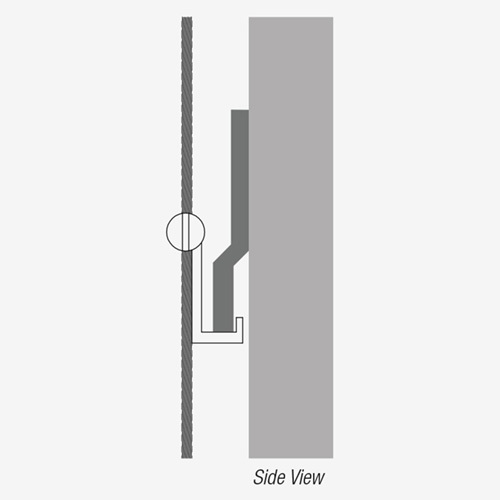 Panels prepared with a cleat on the rear side may be supported by use of the Utility Hook. Simply place the cleat over two hooks and adjust for height. 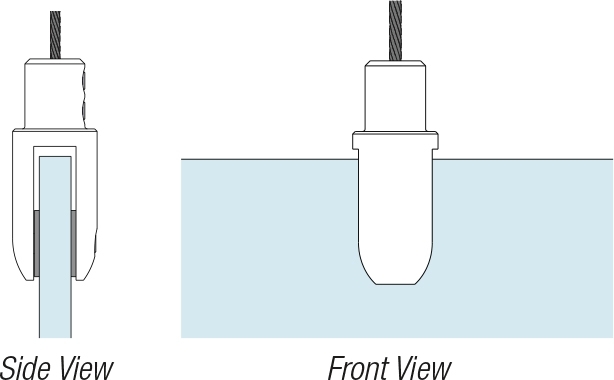 The cables may terminate behind the panel or continue to a lower panel and/or be tensioned at a lower point. What problems have you encountered when attempting to display unframed art or photography?